Food, Farm, and Sustainability » Help! What do I do with all of these vegetables…?? 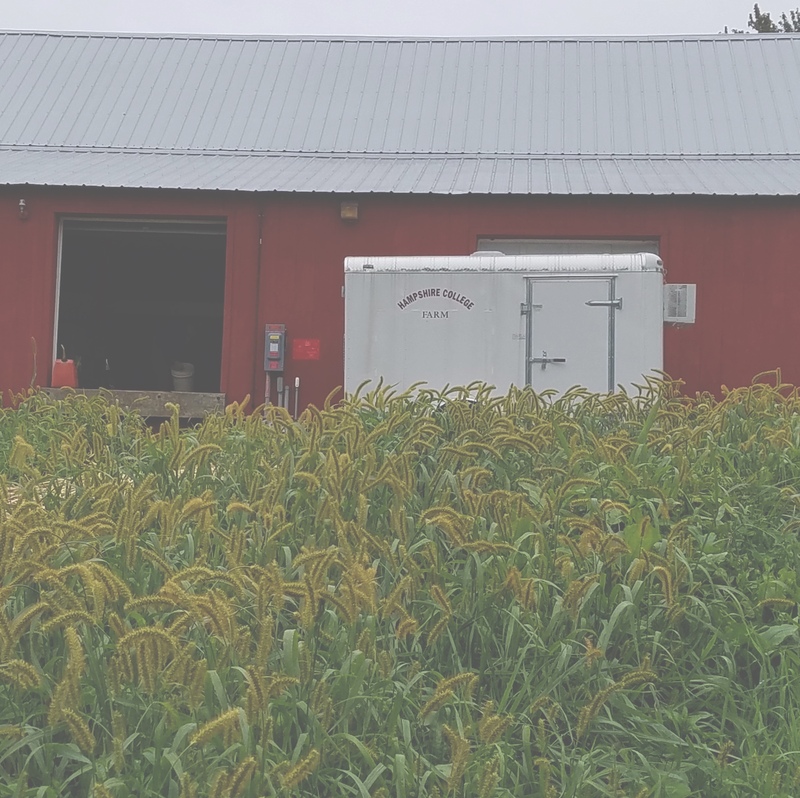 So you are doing your part to support the Hampshire College Farm and you bought a CSA share. Thank you! Every week you pick up an exciting array of delicious, ripe, organic produce (some of which is unfamiliar to you – but hey – it looks so good! )… and then you don’t quite know what to do with it. Sadly, it sits in your fridge and slowly shrivels and rots until eventually you toss it in the compost. We know, we’ve been there too. In the meantime, let’s start off with beets. Beets can be a little challenging for couple of reasons. One is that they take a long time to cook, especially when cooked whole. The other is that, if not cooked whole, they make a giant mess (at least the red varieties do) and look like they’ve bled all over your kitchen. Your cutting board may never recover! What to do?? #1. Put on an apron!! You know, you know, those old-fashioned cover-up things that keep your clothes clean. #2. Figure out how much time you have. 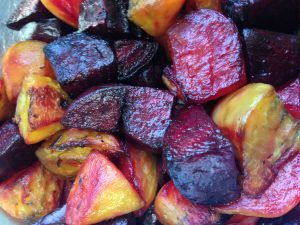 Cooking beets whole, whether roasting or boiling, takes about an hour. This has benefits in terms of flavor, ease, and cleanliness, but sometimes you need dinner faster than that. As with almost everything that needs cooking, thin slicing is the fastest way to go, though not necessarily the most flavorful. Beets can also be eaten raw, including being grated or juiced. #3. Wash the beets thoroughly. Beets come pre-washed but a second go-round is always a good idea. Scrub gently with a food brush until you feel satisfied. #4. 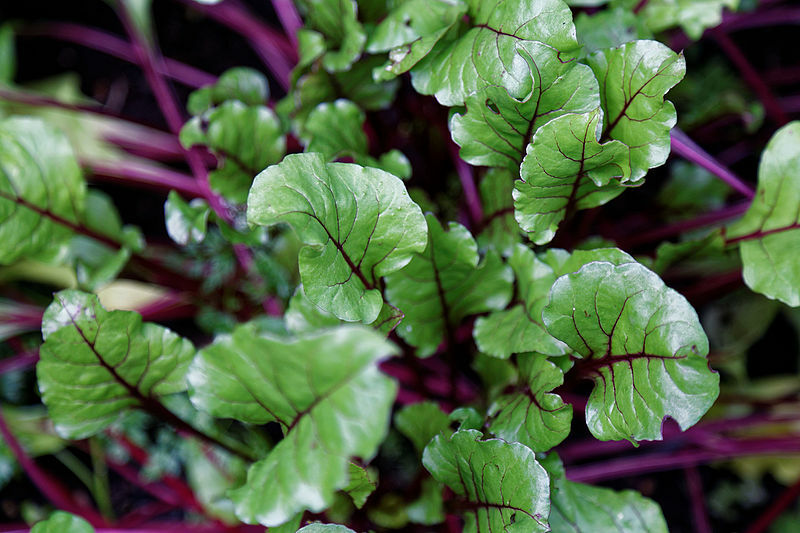 Beets come in many varieties, including golden and chioggia (candy-striped). 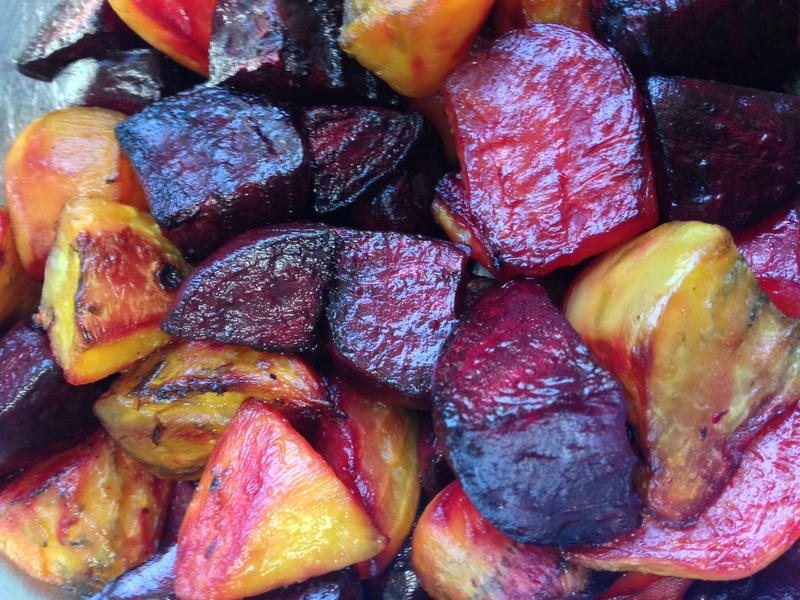 If you want to show off the pretty colors of your beets, pick a cooking technique such as whole roasting or pan-frying slices that will not cause the colors and flavors to disburse too much. #5. Beets are both sweet and full of nutrients. This makes them a particularly good choice for children or people who don’t generally like vegetables. (Beets can even be made into popsicles and chocolate cake!) For a more savory take, beets are often paired with goat cheese (think salad) or sour cream (think borscht). And if, like me, you spent years hating beets because your grandmother made you eat canned pickled beets as a child, fear not! You can even pickle your own beets and make them exactly the way you want them. Ready for some recipes? Here is a terrific link to both beet cooking techniques and a wide variety of recipes. Give one of them a try, or send us your own recipe. We’d love to hear your beet cooking experiences!